Gunnery Sgt. Marquez, drill instructor, Alpha Company, 1st Recruit Training Battalion, talks about the purpose of the Confidence Course during the Confidence Course at Marine Corps Recruit Depot San Diego. 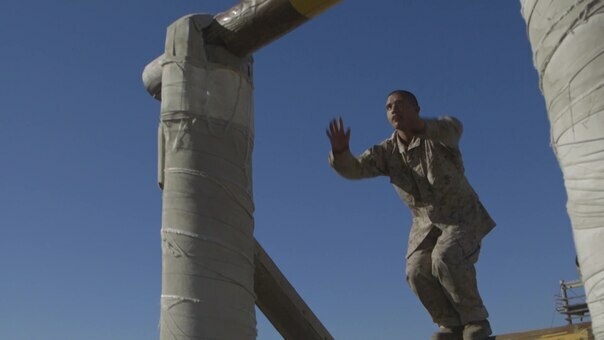 This work, ALPHA COMPANY - CONFIDENCE COURSE, by Cpl Shekinah Lowe, identified by DVIDS, must comply with the restrictions shown on https://www.dvidshub.net/about/copyright.